Should Investors Worry About Apple's iPhone Business? 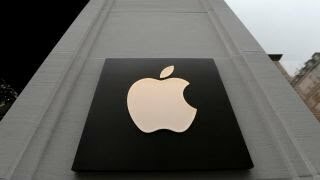 Amid a broader market sell-off in tech stocks and reports that the latest generations of iPhones haven't been selling as well as management had expected, Apple (NASDAQ:AAPL) shares have tumbled. The stock is down more than 20% since Oct. 1. Should investors be concerned? More specifically: Should investors be worried about Apple's iPhone business? Apple's conservative valuation doesn't need meaningful iPhone sales growth. Apple's iPhone pricing power is as strong as it's ever been. 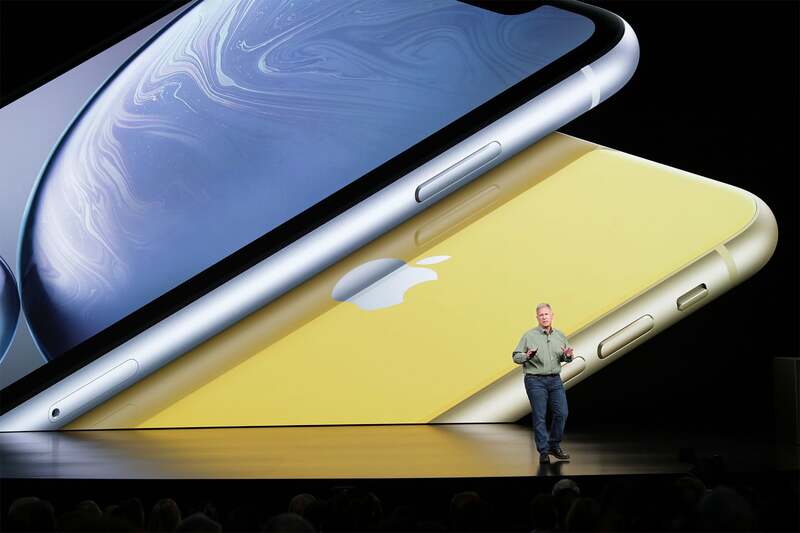 Apple marketing chief Phil Schiller reveals the iPhone XR. Image source: Apple. Let's look closer at both of these ideas. Apple stock's recent decline has had a significant impact on its valuation. The company's price-to-earnings (P/E) ratio has slid from about 19 on Oct. 1 to 15. In other words, Apple has gone from reasonably priced to borderline cheap in less than two months. The average stock in the S&P 500 has a P/E of 21. Alphabet has a P/E of 36. McDonald's has a P/E of 26. Does Apple really deserve to trade at such a steep discount to the S&P 500, Alphabet, and McDonald's? Sure, Apple guided for its fiscal first-quarter revenue to grow only 1% to 5% year over year, suggesting management expects growth to be harder to come by in the upcoming fiscal year. But when considering Apple's strong fiscal 2018 (boasting 16% revenue growth and 29% earnings-per-share growth) and its aggressive share repurchase program enabled by its heady free cash flow, a P/E ratio of just 15 starts to make Apple stock look cheap. Equally important to an investment thesis in Apple today is the company's undeniable pricing power. Even if Apple struggles to grow iPhone unit sales, the company can increase iPhone revenue by selling its phones at higher average prices. Fortunately, Apple's pricing power with iPhones appears to be as strong as ever. In the company's just-ended fourth quarter of fiscal 2018, the average selling price of Apple's iPhones came in at an impressive $793, up 28% year over year. This helped propel iPhone revenue 29% higher, even as unit sales growth was flat. This bodes well for the impact that Apple's latest iPhones will have on the segment's average selling-price trends. The iPhone XS was only available just a few weeks during the quarter, yet management acknowledged in Apple's fourth-quarter earnings call that the new smartphone played a role in the period's impressive average selling price. Strong pricing power for the iPhone is good news for investors -- not just because it makes iPhone revenue growth likely in fiscal 2019, but also because it vouches for the company's continued brand strength. And brand power, of course, is an intangible asset that can help deliver growth beyond a given product cycle. iPhone XS and XS Max. Image source: Apple. iPhone sales slumps are inevitable. Further, since iPhone accounts for over half of Apple's revenue, this will inevitably weigh on the company's consolidated results. This is the nature of a business that's so reliant on sales of only a handful of product categories. 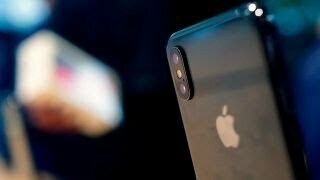 Considering, however, Apple's conservative valuation and powerful pricing power, investors may want to look past what could prove to be nothing more than a temporary pullback in iPhone unit sales. Suzanne Frey, an executive at Alphabet, is a member of The Motley Fool's board of directors. Daniel Sparks owns shares of Apple. The Motley Fool owns shares of and recommends Alphabet (A and C shares) and Apple. The Motley Fool has the following options: long January 2020 $150 calls on Apple and short January 2020 $155 calls on Apple. The Motley Fool has a disclosure policy. Read more: Motley Fool - Should Investors Worry About Apple's iPhone Business?